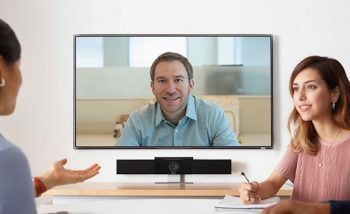 Plantronics (NYSE: PLT) has today announced the launch of its first product into the huddle room video market with its new video bar, the Polycom Studio. The USB based device is designed for organisations using service such as Zoom, Microsoft Skype for Business and Teams, Google Meet and Cisco WebEx, and brings legendary Polycom Audio to the spaces. The Huddle Room trend continues to explode, with rooms designed for 2-6 people showing the fastest growing usage of meeting spaces for collaborative working around the globe. With an extimated 32 million small meeting rooms of this type around the world, it’s believed that only 1-2% of these are equipped for professional Video Conferencing, even though businesses recognise the huge importance on enabling video based communication between teams and employees across offices and around the globe. The new Polycom Studio brings HD audio quality to these small spaces. – Joe Burton, president and chief executive officer at Plantronics. With a standard USB connection, the Polycom Studio can be connected to any PC or Mac and improve audio within their meetings. It brings Polycom’s audio innovations into the USB world, such as the NoiseBlock and Acoustic Fence technologies that are designed for professional communications, alongside a 120 degree FOV, 4K resolution and 5x zoom camera. Customers can easily manage their Polycom Studio video bars along with their other Polycom devices through the cloud with the Polycom PDMS-E service (Device Management Service) or on premises with Polycom RealPresence Resource Manager. 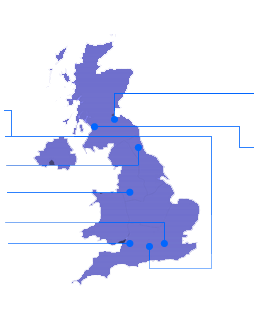 For more information on integration and deployment or to find out pricing of the Polycom Studio, please get in touch with our certified Polycom team today.